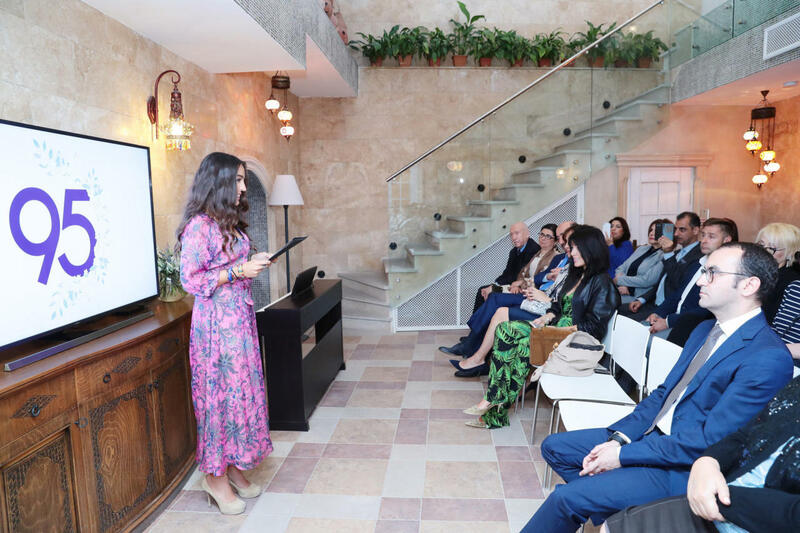 A literary and musical jubilee ceremony dedicated to the 95th anniversary of the birth of the national leader of the Azerbaijani people, outstanding social and political figure of modernity Heydar Aliyev, was held at the “Adibin Evi” (Writer’s House) in Icherisheher on May 16. 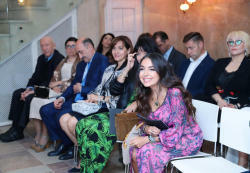 Vice-President of the Heydar Aliyev Foundation, the national leader’s granddaughter Leyla Aliyeva took part in the event. 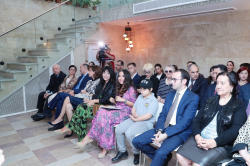 Speaking at the opening ceremony, Honored Artist Nargiz Jalilova noted that one of the Azerbaijani brightest masters of the word Mir Jalal Pashayev lived and worked in this house for 20 years. She stressed that every corner of this house, filled with the spirit of poetry and creativity, was now lit up again with the light of the glorious life path of the great leader. On behalf of all the participants, she expressed her gratitude to the members of Mir Jalal’s family for opening the doors of this house to the participants of the event. It was noted that only selected people – with a strong spirit, fighters, bravely overcoming all difficulties - manage to write their name into history. Heydar Aliyev is such a person. The ceremony featured the film “Heydar Aliyev and Arts”, dedicated to the meaningful and glorious life of the great leader. In the film, there are shots reflecting the meetings of the national leader with the cultural and art figures of Azerbaijan, his sensitive attitude to the Azerbaijani culture and literature. 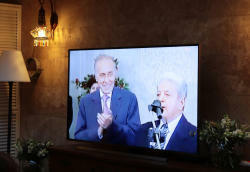 After the film was shown, the presenter, recalling the idea of Heydar Aliyev, “Children is our future,” noted that this expression was repeatedly confirmed in the large-scale work of the national leader in the field of health, education, social and spiritual provision, development of children. This policy is being continued and enriched by President Ilham Aliyev. Then, poems of Azerbaijani poets, composers and folk songs were performed by talented students of the Republican Gymnasium of Arts and Muslim Magomayev Music School. 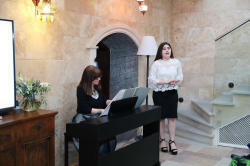 Leyla Aliyeva recited her poems dedicated to her grandfather. The event concluded with the performance of Muslim Magomayev’s “Azerbaijan” song.